Transactions of the Institute of British Geographers, a Journal of the Royal Geographical Society (with IBG), invites you to enjoy a new Virtual Issue on Financial Geography, guest edited by Manuel B Aalbers. This virtual issue is free to access online for 2015. This Virtual Issue traces the development of financial geography through 15 papers published in Transactions between 1976 and 2014. Although Transactions published a few earlier papers dealing with building societies and international lending, the birth of a distinctive literature on the geographies of money and finance can be traced back to the mid-1990s. While British geographers originally dominated the debate, financial geography is increasingly internationalised, rescaled and decentred. Financial geography has established itself within geography and increasingly also within interdisciplinary and pluralistic political and cultural economy debates. Please visit the Transactions (of the IBG) Virtual Issue page to access other VIs: including Adrian J Bailey and Brenda S A Yeoh’s guest edited VI on “Migration, society and Globalisation”. 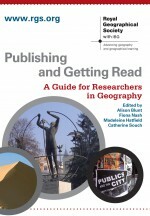 This entry was posted in Announcements, Transactions of the Institute of British Geographers and tagged building societies, cultural economy, financial geography, financialisation, political economy, social studies of finance, virtual issue on January 28, 2015 by RGS-IBG Managing Editor: Academic Publications.